All Hallows' Eve was yesterday — a.k.a. Halloween. 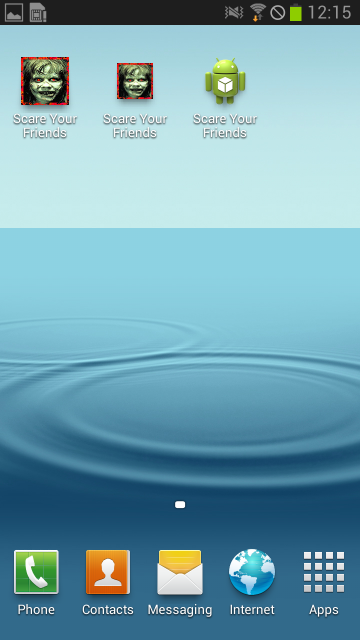 And so naturally, there's an app for that. Or many apps as the case may be. 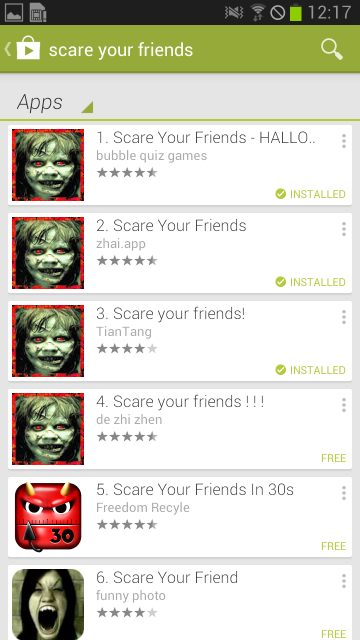 Here's a series of apps designed to "scare your friends". 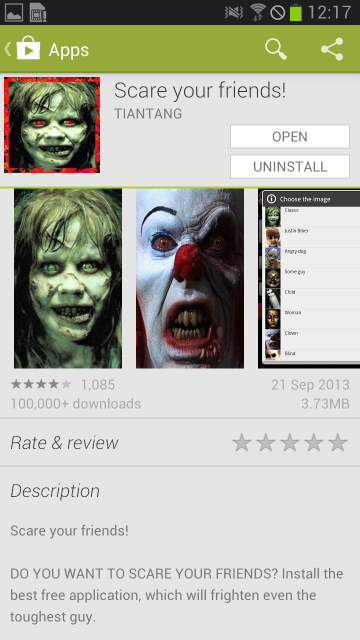 This one has more than 10 million downloads. 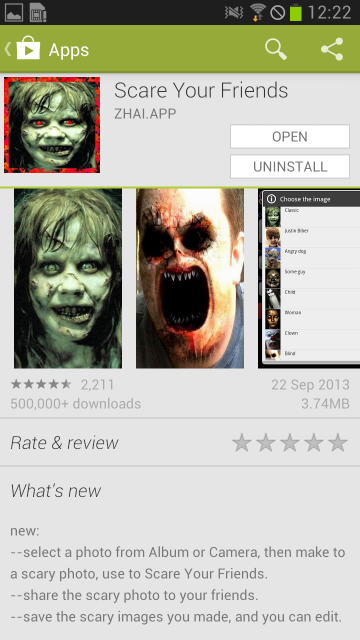 Even these copycats have several hundred thousand downloads. Android doesn't really help differentiate between them. But if we use our permissions dashboard (App Permissions in Google Play) then we can see some big differences. The most popular app only wants three permissions while the copycats want 21! And worse yet, those permissions include the ability to see your personal information. That's what the copycat apps are after — your personal details. Given that the "legit" version of the app is "borrowing" images from Hollywood films… there's nobody with an incentive to police the copycats. And Google, an advertising company, doesn't appear to have much incentive to police them either. And so several hundred thousand people shared their personal details.